The Black History Commission of Arkansas (BHCA) and the Arkansas State Archives (ASA) hosted their annual workshop on Saturday, June 9, at the Mosaic Templars Cultural Center in Little Rock. 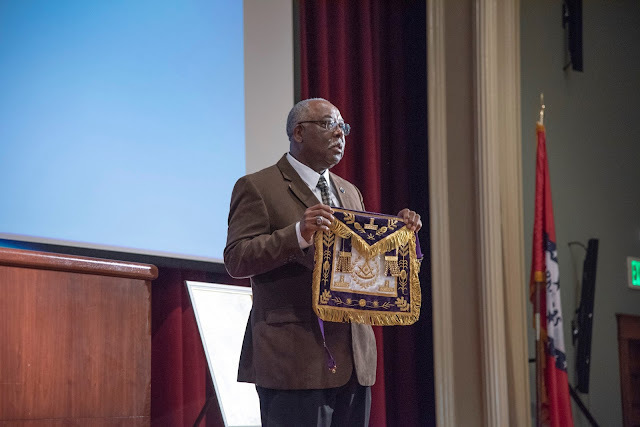 The event, “Arkansas’s Early Black Fraternal Organizations,” featured five dynamic speakers, who focused on multiple historical perspectives and unique characteristics of African American fraternal organizations in Arkansas. Dr. John Graves, professor of history at Henderson State University, was the first speaker. He discussed the national history of the Mosaic Templars. Dr. Blake Wintory, assistant director at Lakeport Plantation, spoke on the history of Arkansas’s black fraternal organizations. Cleveland K. Wilson, grand master of the Most Worshipful Prince Hall Grand Lodge, talked about the history of the Masons, and Flora Simon, grand matron of the Eastern Star, discussed the history of her organization. It was an exceptionally informative event; I learned a lot and met many nice people.